Last year, researchers at Arizona State University put Spokane police, and the department's new body camera program, under the microscope. 1. Initial results show that body cameras could enhance citizens' perceptions of "procedural justice" when interacting with police wearing body cameras. Procedural justice means citizens believe they were treated fairly and with respect and that the officer was honest and listened carefully. Out of the four criteria, only "listened carefully" scored below 80 percent on citizen agreement. 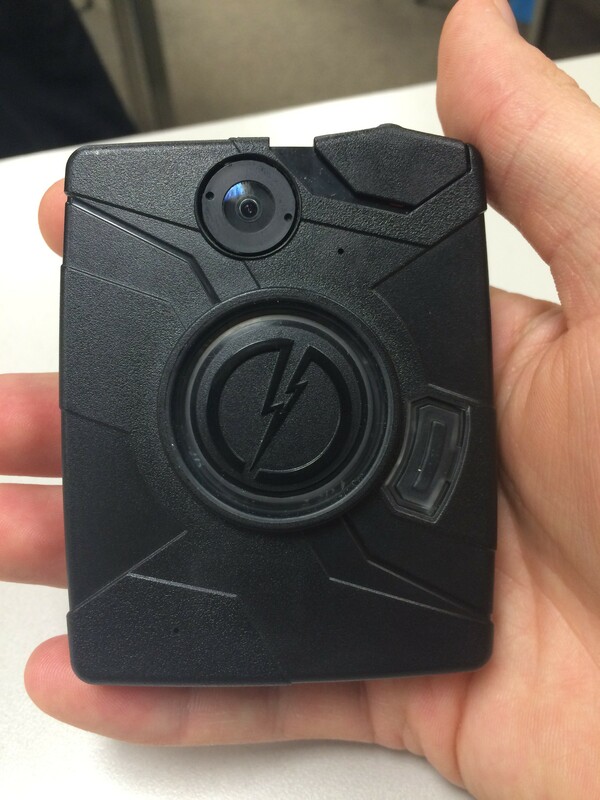 "This finding represents an early, important piece of evidence that [body cameras] may be able to deliver on the claim that the technology can enhance police legitimacy," ASU researchers write. 2. Support for body cameras is high among citizens who had contact with a Spokane police officer wearing a body camera (while it was recording). For example, 86.3 percent of those surveyed agreed that all SPD officers should wear body cameras, and 76.7 percent thought the benefits of body cameras outweighed the costs (citizens were not told anything about potential costs; answers were based on their prior knowledge, according to ASU criminology professor Michael White). 3. Only about 30 percent of people who agreed to participate in ASU's phone survey were even aware the officer was wearing a body camera, which made it difficult for researchers to draw any conclusions on cameras' "civilizing effect." Despite "weak" evidence, researchers say only 7 percent of participants reported being more cooperative because of the body camera. Most citizens who were aware of the cameras reported positive reactions. Additionally, about 11 percent of participants who were aware of the cameras said it made them uncomfortable, more cautious about their actions or angry/annoyed. And about 60 percent said they felt safer because of the cameras. 4. There's at least one limitation of the study. Because researchers only surveyed people who interacted with an officer recording them with a body camera, and did not survey people who interacted with officers without body cameras, they can't say how the two interactions differ in any way. In other words, these results don't indicate that officers wearing body cameras is any better or worse than officers not wearing cameras. However, White adds that 72 percent of the people surveyed didn't know officers were wearing cameras during the interaction. "This allowed us to compare two groups of citizens: those who knew the camera was there and those who did not. In my view, this trumps the fact that we did not interview citizens who had encounters with non-[body camera] officers," White writes in an email. Janne Gaub, one of the researchers on the project, says the ASU team is conducting similar research for a department in Tempe, Arizona. That data, however, will include a control group of participants who interacted with officers not wearing body cameras. ASU researchers will also conduct officer surveys and an analysis of use of force and citizen complaints. They've also interviewed prosecutors, public defenders and judges in Spokane. Results from those projects are expected later this year. Spokane police still have not finalized a body camera policy, and earlier this year Gov. Jay Inslee signed a bill that limits broad public records requests for body camera footage. The new law, which goes into effect later this year, presumes certain footage — such as that of a minor or a dead body or video shot inside a home — is private.